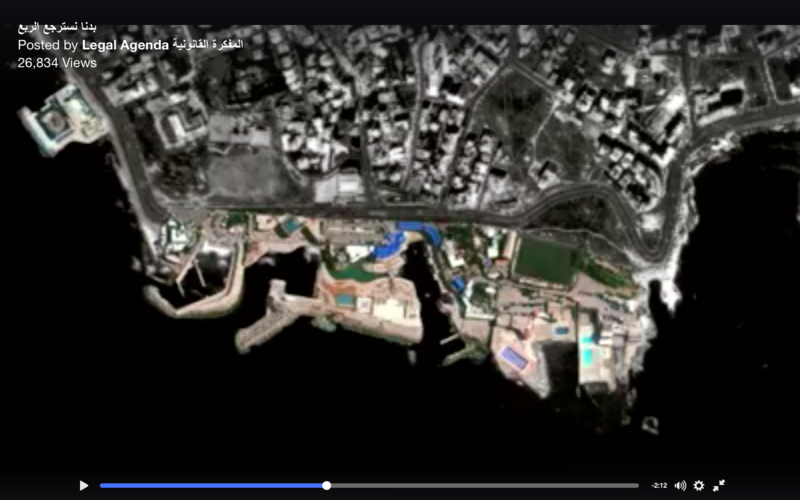 Home Tags Posts tagged with "Mediterranean"
Activists have put together this great new video looking at how Beirut’s natural rocky coastline has basically been stolen from the public, destroyed and turned into concrete marinas for private resorts. 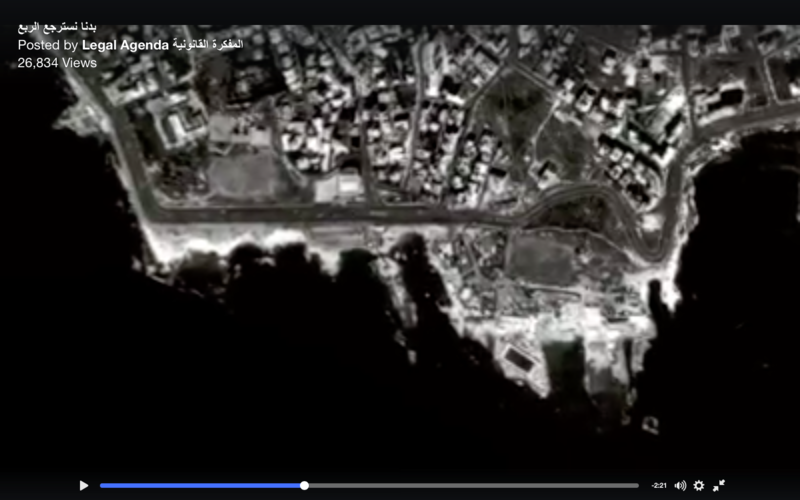 What’s particularly interesting about the video is that it uses maps to illustrate the radical transformation of the shoreline and brazen transgressions of laws that were aimed at protecting it. 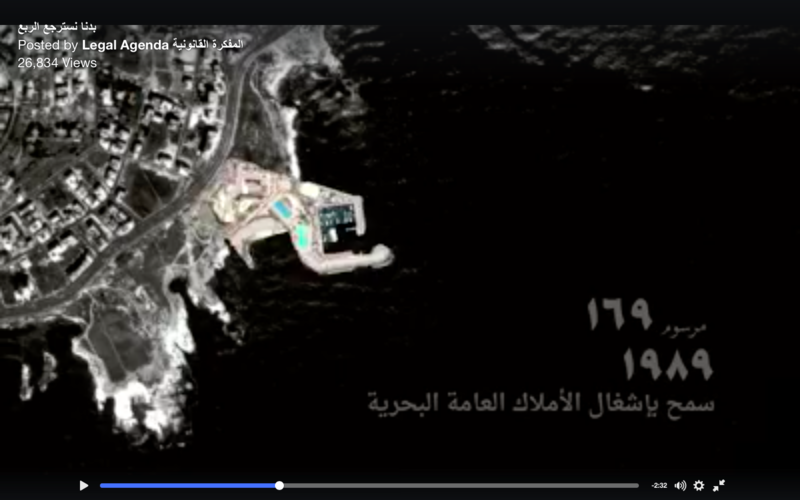 The video, which was produced by the lawyers’ collective Legal Agenda and the Civil Campaign to Protect Dalieh is based on investigative research that exposed the dubious decree 169 of 1989, which allowed the building of the Movenpick Hotel in contravention of coastal protection laws that preceded it. This set into motion a precedent that allowed more seizure of public coastal properties and the mushrooming of more resorts, as seen above. The good news is that decree 169 never went through official channels and was never published publicly, lawyers have found, creating grounds for the launching of a lawsuit against the state, which is currently pending. In the meantime, more resorts are being planned, threatening to repeat the destruction caused by decree 169 and obliterate the last remaining stretch of public coast. 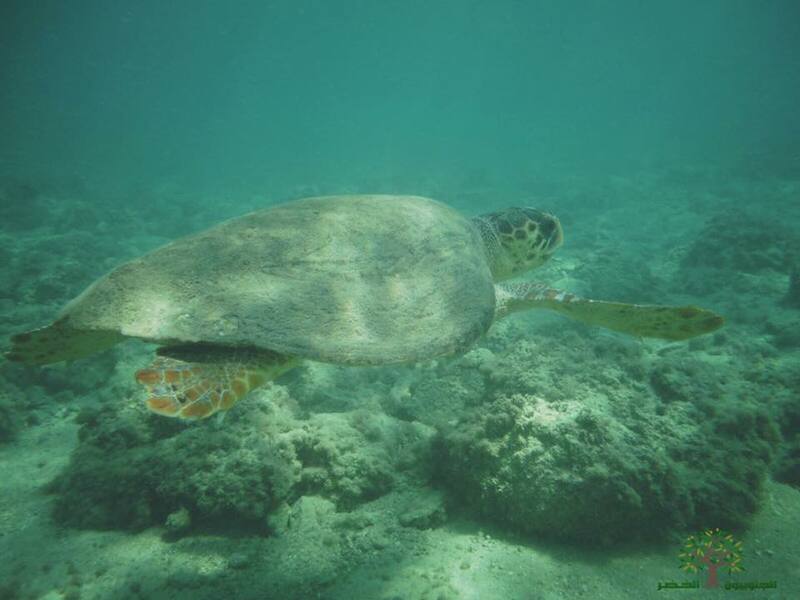 After a multi-pronged campaign of three years, activists have already challenged a major project planned for the coast of Dalieh and Raouche, and lobbied the Environment Ministry to issue a draft decree to protect the area. But it has yet to pass in Parliament and Dalieh may still may be threatened. Other projects are already underway including the massive Eden Rock marina and towers project, being built just a few feet from the waterline. Last week activists made it down to the construction site and attempted to disrupt this public property seizure by yanking out the hoses being used to dredge the area to lay concrete foundations on the beach. One activist involved in the action was assaulted by an employee of the real estate company and others have been questioned by police or threatened with lawsuits. Interestingly, the police have not asked to question the developers of the resort about the destruction of the public coastline and the billions of dollars that will be made at the public’s expense. If all of this sounds crazy and unjust to you, you can join over a dozen civil rights and environmental organizations this Saturday (Nov. 26) for “El Shat La Kil El Nes” (The Coast For All The People) in what promises to be a massive march calling for accountability from the billionaire class that runs this country, and approves such projects. 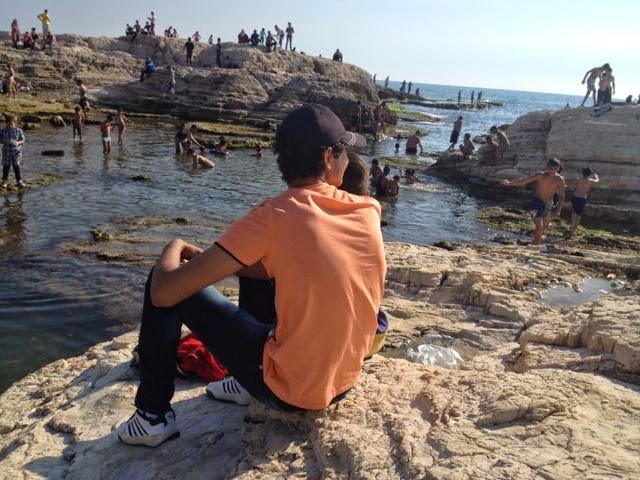 The march begins at 4PM near the gate of the public beach at Ramlet El Baida. Here is the event page. 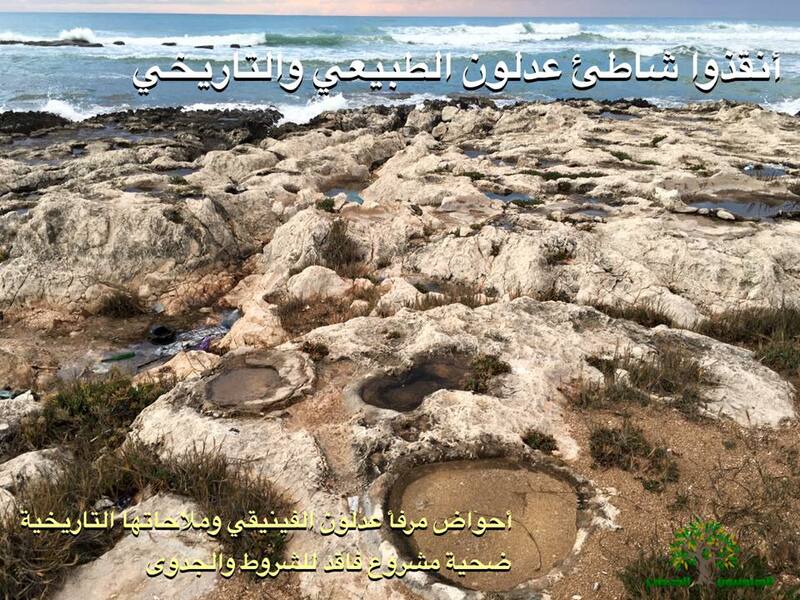 After several weeks of organizing and documentation by activists, the minister of environment has called for a halt to a port project that threatens to destroy the natural coast in Adloun (South Lebanon) believed to be the location of an ancient civilization. 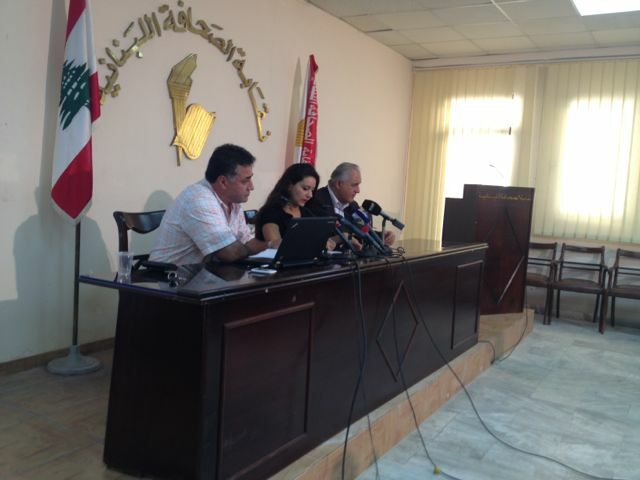 However, in this report by LBC, there appears to be a tug-of-war going on between the Ministry of Public Works, which is carrying out excavation works, and the Environment and Culture Ministries who say work must stop until studies have taken place and a joint committee is allowed to examine the project, dubbed “Nabih Berri Port.” The Ministry of Public Works says the other ministries have failed to come up with any proposals for over 15 days, giving them the defacto right to carry on with the project. 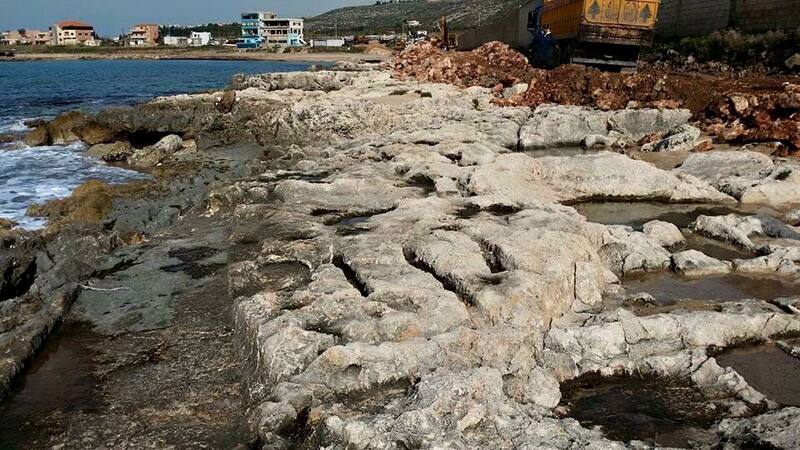 So in the meantime the destruction of the rocky coast, which is claimed to be a Phoenician port town, is continuing and LBC says the ancient ruins may be lost before a joint-committee is formed to investigate the matter. 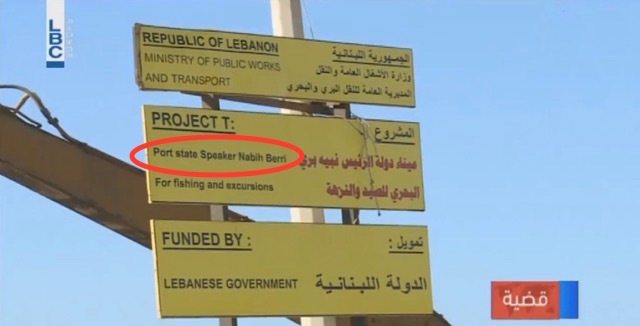 One interesting aspect left out of the LBC report is that the Public Works Ministry, which is adamant on pushing forward with the project, is being led by a political subordinate of Parliament Speaker Nabih Berri, whom the new port is being named after. 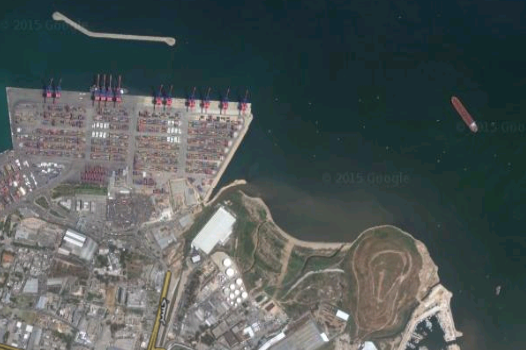 According to a report by Al Akhbar, the “Nabih Berri Port” project is worth around $26.6 million and encompasses an area of 164,000 square meters. While the ministry says the project will create jobs and serve the surrounding fishing community, Al Akhbar and local activists say the port is being designed to accommodate 400 luxury yachts, that will cause massive environmental damage to the village, which does not have the infrastructure to accommodate such traffic. 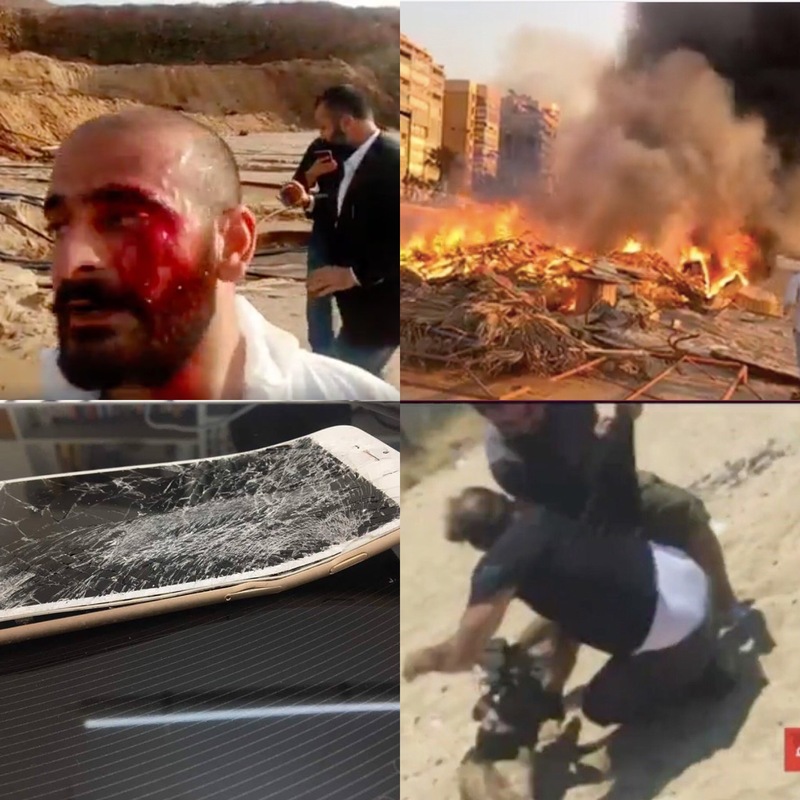 Al Akhbar alleges that destruction continues despite cessation requests from the other ministries and in the absence of an environmental impact study, a claim also carried in a report by the Lebanese lawyers’ collective Legal Agenda. 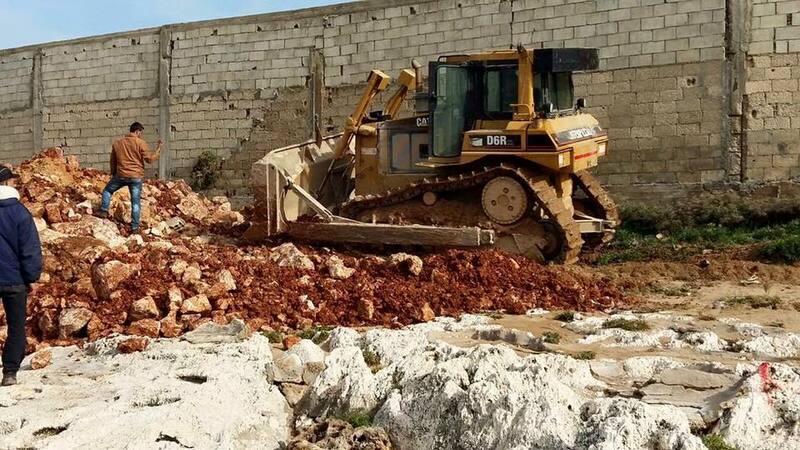 Al Akhbar further reports that the awarding of the excavation contract to “Khoury Contracting Company” came under an irregular bid and with little input from or discussion with the local community. 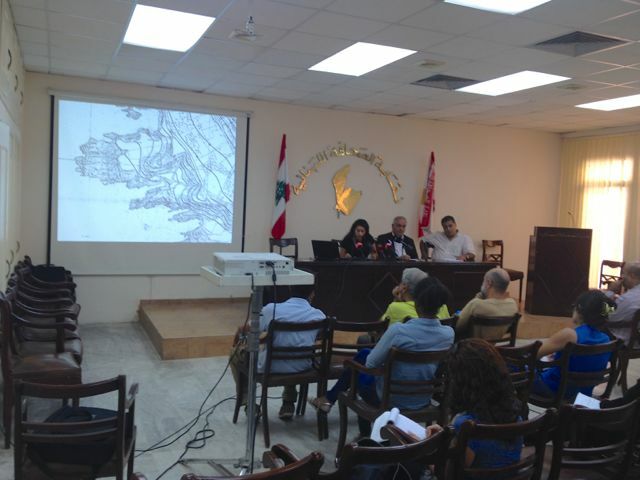 In a report by Al Jadeed TV, the head of a south Lebanon preservation group says Adloun is a known Phoenician port site that has not been properly excavated. She says that it is preservation and celebration of Adloun’s heritage that will bring economic benefits to the local community, not converting the site into yet another playground for the wealthy. It’s hard to say what the precise archeological history of the current excavation site is from pictures alone and the reporting thus far, although it is clear that the Adloun area has been the site of numerous archeological expeditions dating back to the the late 1800s with evidence uncovered suggesting both Phoenician as well as pre-historic remains dating back to 70,000 BCE. 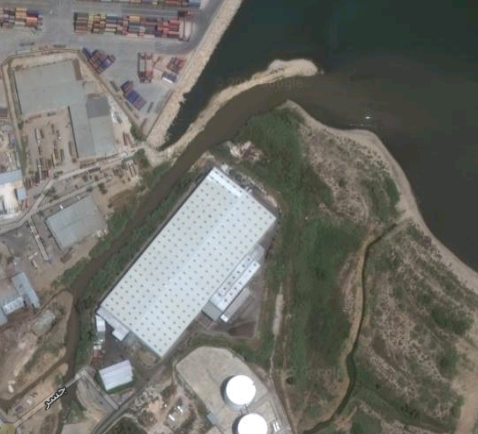 What’s also disconcerting about the rush to build over Adloun is how the state and it’s crony capital partners have once again managed to seize public coastal property for what could be luxury, exclusive development under the guise of ‘public good’. 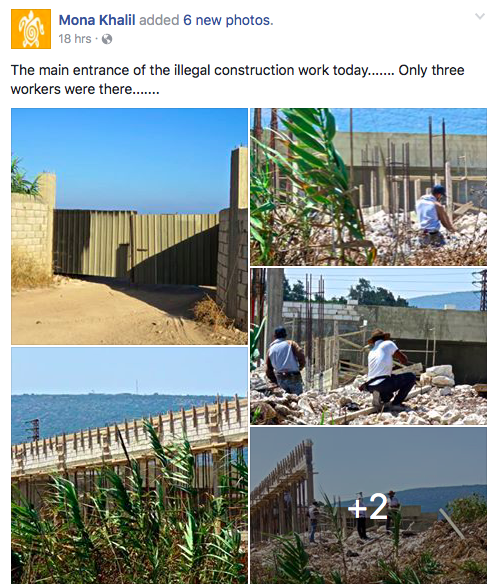 As I reported for The Guardian last year, the Lebanese coast has largely been colonized by illegal or vaguely legal projects that have fenced off much of the coast from the public, denying the constitutional right to beach access. 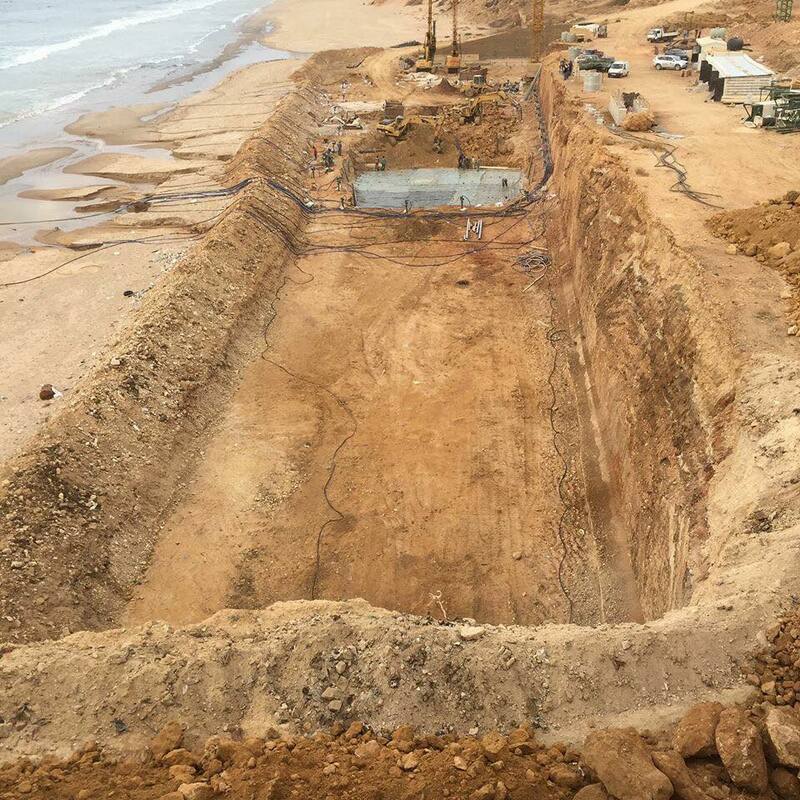 According to the government’s own studies, there are approximately five illegal resorts usurping public maritime property for every one kilometer stretch of Lebanon’s 220 kilometer coastline. A lot of these infractions took place during the last three decades, well before the inception of social media and the subsequent enhancement of activism bolstered by popular blog posts as well as increased mainstream media attention. 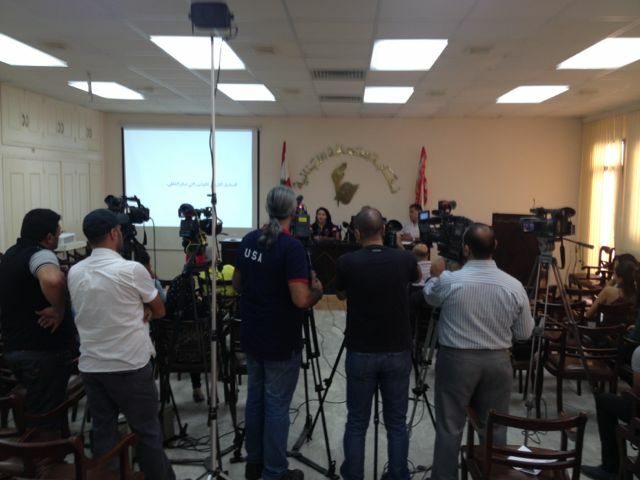 Will this make a difference in the case of projects planned for Adloun, Dalieh, Byblos and other planned–and now fiercely opposed–projects? In some respects, it already has, but will be the long term impacts? 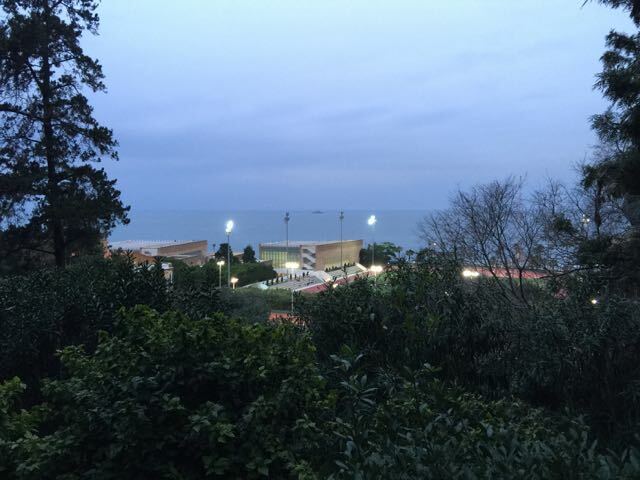 As winter begins to fade, it’s a beautiful time for a walk along the corniche. Street performers are not too common in Beirut– signs actually prohibit them in some parts of the city and I’ve even seen an army soldier haul one away in downtown. It’s good to see some are making a comeback in less restricted areas. 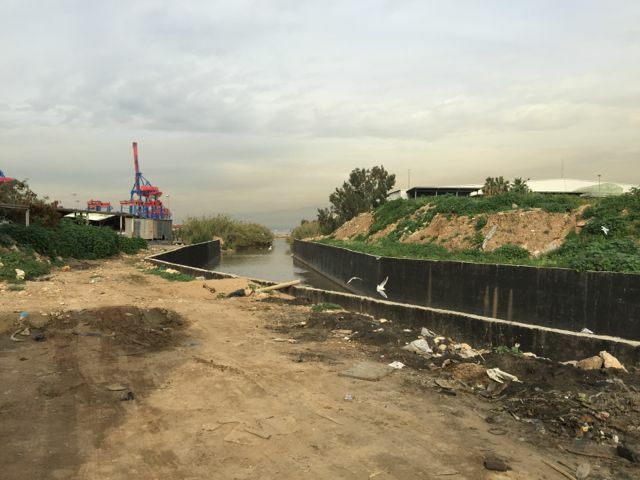 I was on my way to drop off my recycling at Ziad’s recycling plant near the port of Beirut when I noticed this nasty river. And the smell standing here is vomit inducing. Here’s a close up of the canal in my photo. The area is known as Karantina and the canal is just next to the slaughterhouse. 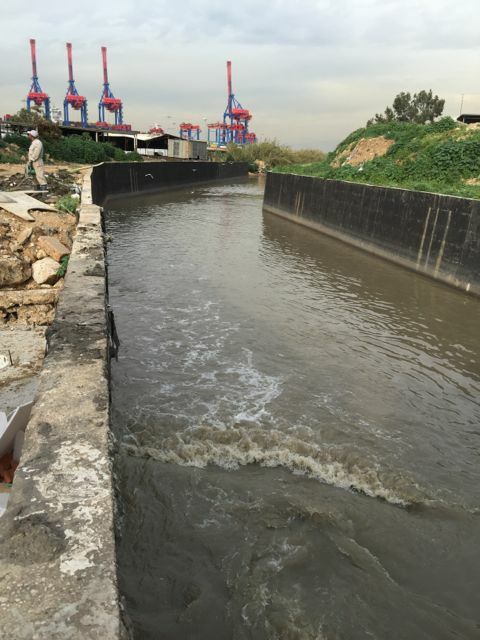 This is my second post about sewage flowing from Beirut’s coast. 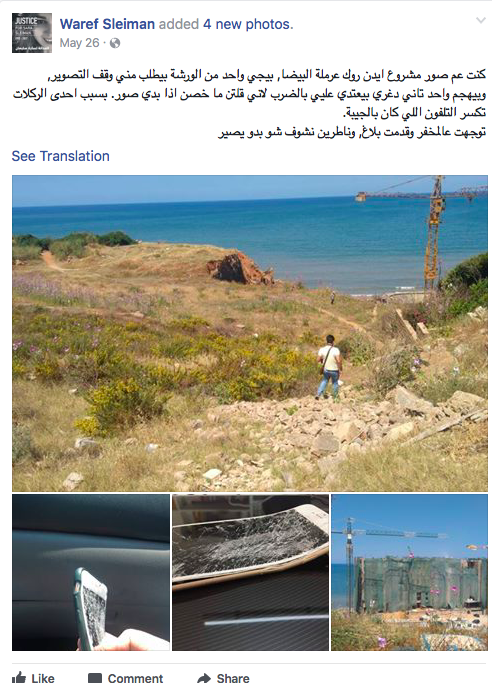 I previously documented a big brown spill off the coast of Khalde, near the airport. 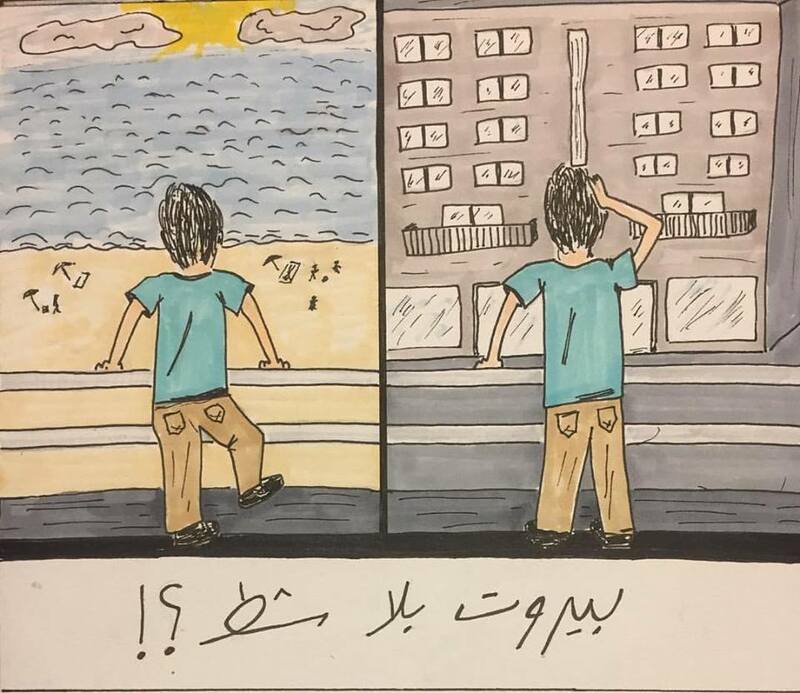 So how many sewers flow right into the sea from Beirut? And why is this wastewater not treated? Equally important, why isn’t this story on TV more often? Isn’t it more important than all the politicians visits and press conferences that dominate the evening news? Do any of them have anything to say about sewage? 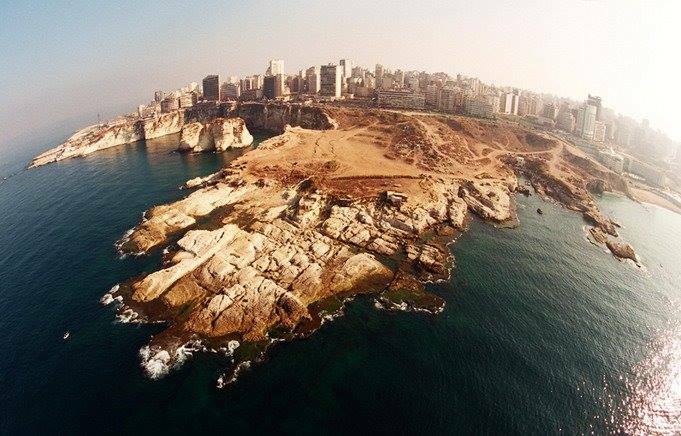 Activists have claimed that a multi-million dollar real estate project by world-renowned architect Rem Koolhaas is being planned for Dalieh, one of the last undeveloped coastal areas in Beirut. 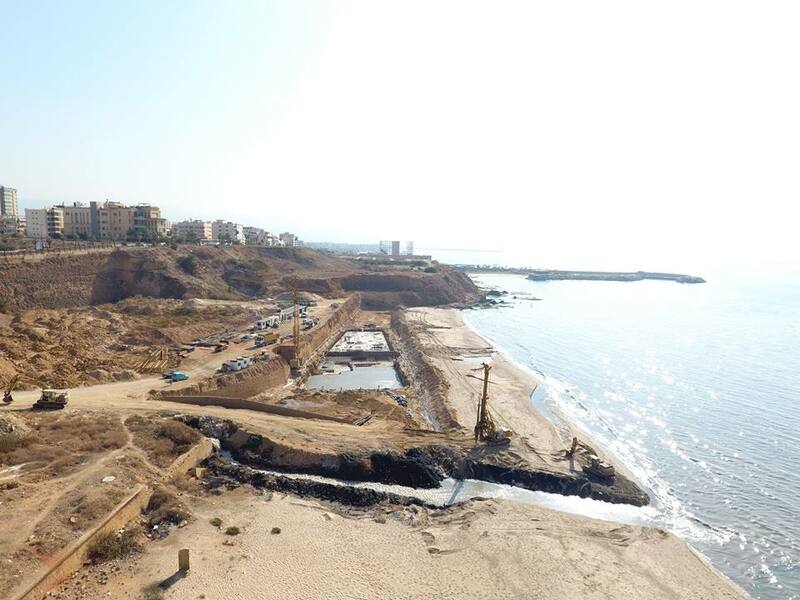 If confirmed, the project would mean that Dalieh, a public swimming and picnic area for generations of Beirut families, may now be restricted to the richest segment of the population, depriving the city’s lower and middle classes of any picnic or recreational grounds. This news comes in sharp contrast to a statement made by the property owners to Executive magazine a few months ago when asked what was planned for Dalieh: “No construction or any other permit is being or will be sought in the foreseeable future as far as I am aware” a representative of the Hariri family, which owns a majority of the land, told Executive in August. 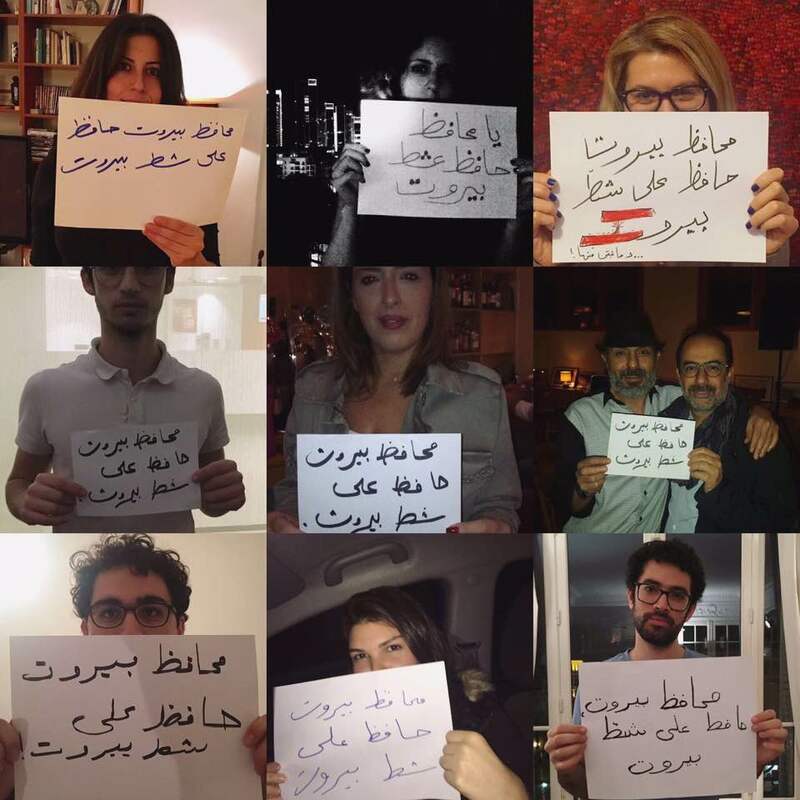 Activists with the Civil Campaign to Protect Dalieh, which include architects, engineers, urban planners and professors, released the announcement in a letter to Koolhaas published in Jadaliyya today, discussing the manipulation of laws and environmental protections that have allowed the project to go forward. 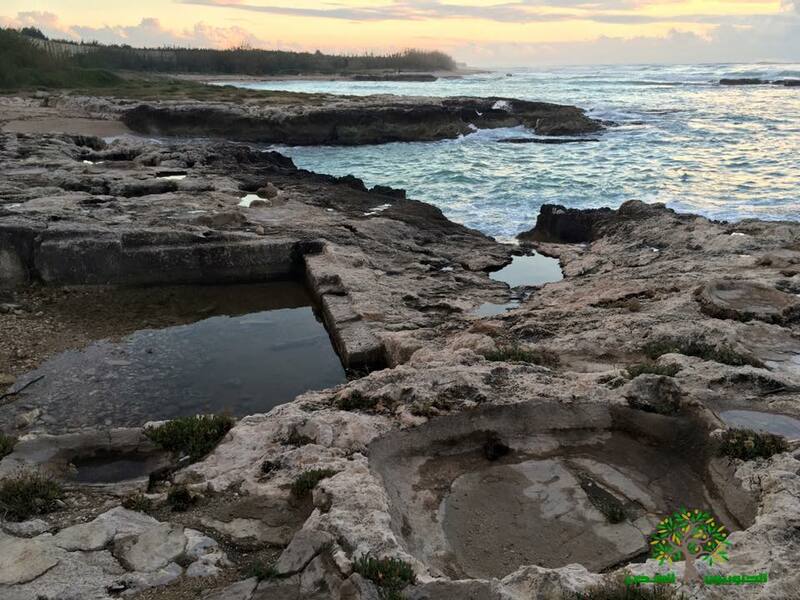 One of several natural pools in Dalieh, used by Beirut residents for generations. 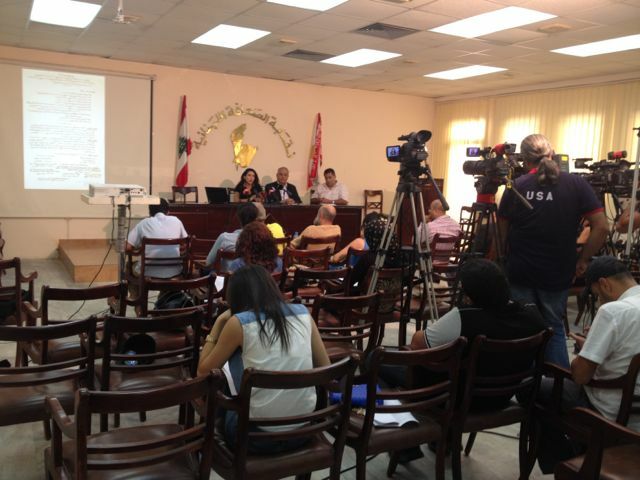 Through the help of lawyers, the activists uncovered significant irregularities in the laws that have made the project possible (passed during the chaos of the civil war) and they have recently launched a major lawsuit you can read about here. For more images of the possibly endangered natural caves and pools of Dalieh, see this previous post. 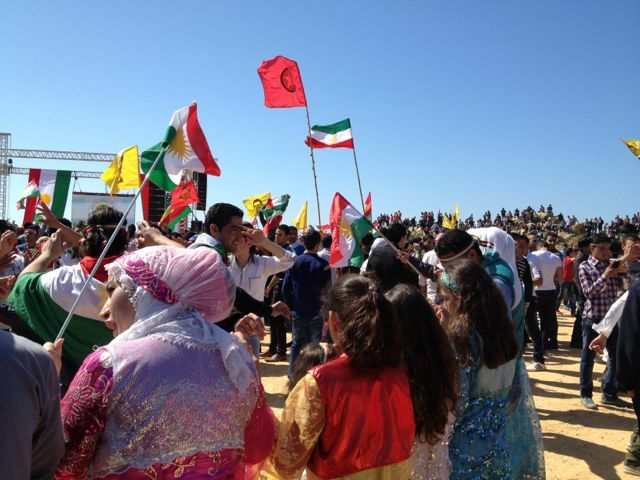 The site is also the place for many popular celebrations, such as Nowruz, as covered here. 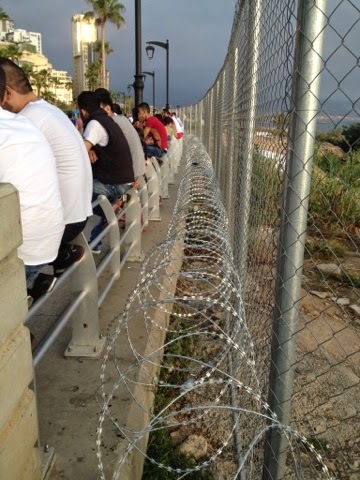 The new property owners have recently fenced off the area with barbed wire, a move Lebanon’s minster of environment called “scandalous.” For more on the grassroots activism to protect this site see this post. For decades, the site where the project is being designed has been a prime social and public gathering for Beirut dwellers, but also a national landmark for Lebanese citizens. The site included traditional fishermen ports, informal restaurants, and a vibrant informal economy that lived off such temporary recreational activities. These activities have recently been interrupted as the site was reclaimed as “private property,” and fenced-off, displacing its long-term users. Adding to the social and symbolic significance of the site is its immediate proximity to the Raoucheh rock, perhaps the main city landmark that holds enormous symbolic significance at national and international scales. Frequently used as a metonym for Lebanon’s natural beauty, the Rock has appeared on national currency as well as in numerous films, histories, and imageries of the city. Any architectural intervention that modifies this seafront landscape, particularly one that privatizes a natural extension of this public landmark, will have resounding negative impacts. Dalieh properties were the result of the visions of Ottoman and later French authorities to entrust the city’s commons to the main families of the city, as its custodians and protectors. Until 1995, these properties had multiple owners, who were all members of the so-called “old families of Beirut.” One investor managed to buy these property shares, consolidate single private ownership and expand it over what was the city’s collective commons. This take-over operation has been represented as a de-facto reality that overshadows the historical communal practices in Dalieh and represents them as illegal squatting of private land. This led to the fencing-off of the area and the subsequent prohibition of access to the sea. Historical and contemporary property records we have obtained unequivocally demonstrate that property boundaries in the area have been modified to encroach on the public maritime domain, in contravention of the law. 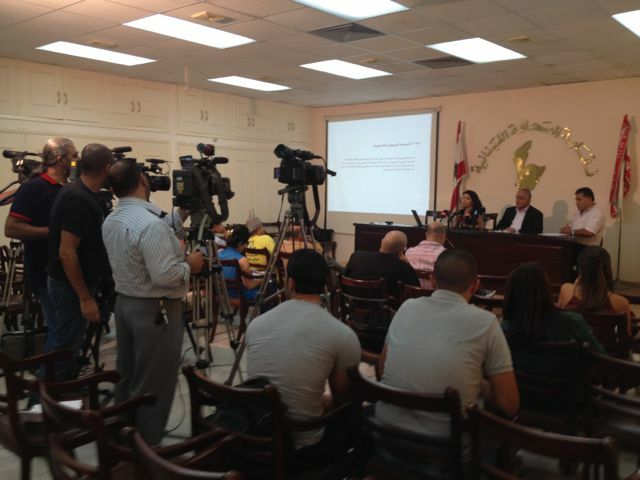 In other words, a large section of the area where the project is currently planned has been illegally privatized. This includes the fishermen port that, until recently, secured the livelihood of over seventy-five families, and also served as a recreational space for thousands of others. Implementing this project in this location will make theft of public land a fait accompli. 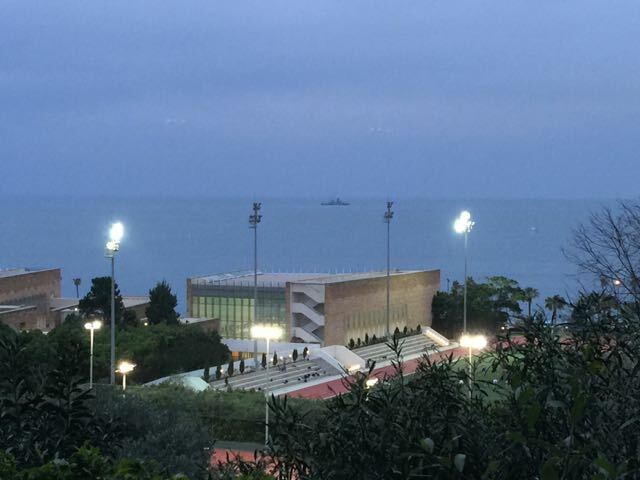 While urban and building regulations had relatively protected Beirut’s seafront for decades, making of the promenade along the coast a landmark communal space in the city, regulations have been considerably modified over the past twenty-five years. Indeed, private real-estate developers have lobbied affiliate politicians to pass multiple exceptions to existing laws that serve their interests, allowing intensive building exploitation ratios at the expense of the city’s livability. The lobbyists behind these regulations are not only property owners, but also policy-makers, ministers, and other members of the political elite who have turned law into yet another tool that serves their private interests. Your client is a member of one of the most powerful players among that elite. Thus, while the entire zone of the project was non-ædificandi (unbuildable) until 1966, exploitation ratios have gradually increased reaching a whopping sixty percent rate, according to the most recent modification of April 2014. The effects of these exceptions to the law are clearly visible on the city, where miles of public beaches and open spaces have been turned into a gated private resorts and landscapes. A design intervention that works within this usurped legal framework will serve the interests of a handful of policy-makers/property-owners who are blatantly manipulating the law to their own advantage, at the detriment of the city, its natural environment, and its dwellers. The site is etched with features that could be traced back to the geological history of Lebanon. 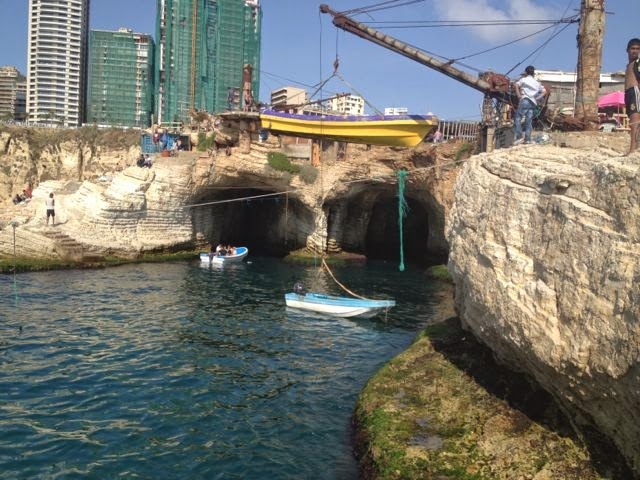 In fact, it may be the last remaining coastal karstic outcrop on the Beirut city coast, which is the backbone of the city’s visual landscape. Among other sites on the coastal strip, it is also by far the most extensive and important site that presents evidence of the Stone Age in the Levant. 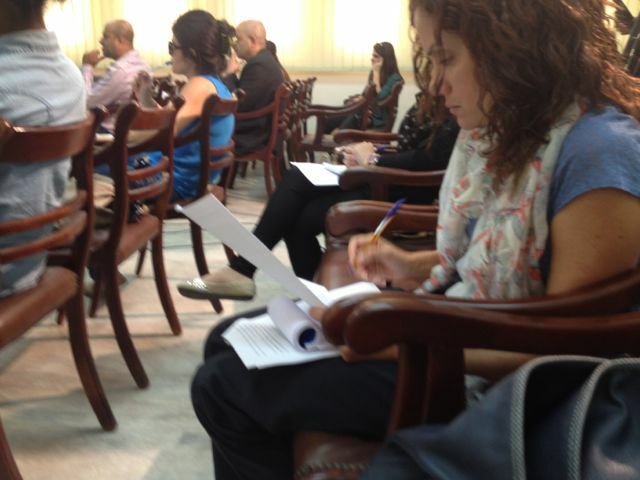 In light of the above, we are appealing to you in your roles as founder and lead architect of the firm, and as an educator and a public intellectual, to side by us in advocating to your client, but also to planning and urban authorities in Beirut the preservation of a site with unique characteristics, and withdraw services on this project. If such advocacy efforts falter, we urge you to dissociate yourself and your firm from this contentious project. We remain open, as a campaign, to meet with your office to discuss in more detail various aspects of this controversial project and this key national site. Thank you for your open letter from the 15th of December. I appreciate its tone and its content. Several months ago we were asked to think about the Dalieh of Raoucheh site. From the beginning our client has shown an awareness of its uses, its history and its beauty, and is clearly expecting us to respect and preserve these qualities in the development of our ideas. 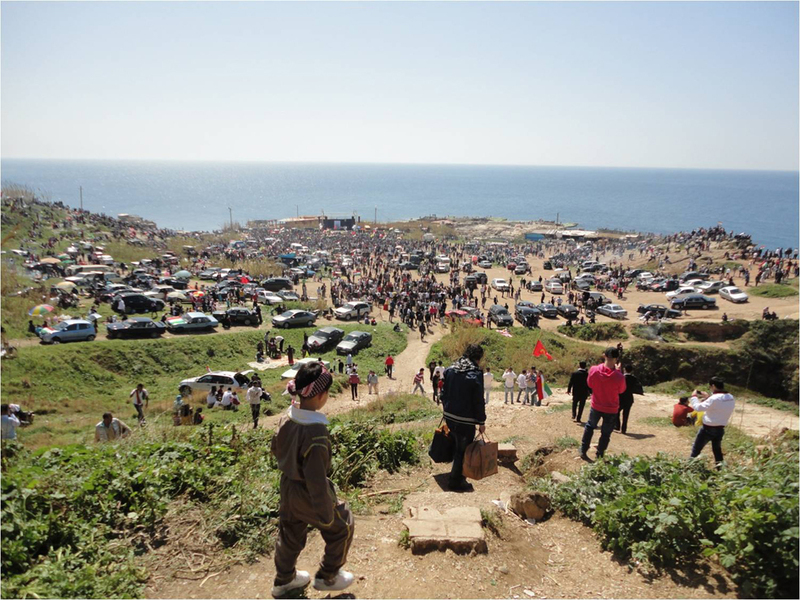 Since we have become involved, our research has convinced us only more of the site’s uniqueness, its importance as a public space on the Beirut coastline, and its role in the civic life of the city. The directions that we are beginning to develop do full justice to these qualities, and are compatible with the pleas expressed in your letter. It is, for instance, our intention to actually enhance public accessibility of the site. As in all our work, we are trying to preserve what works well and add only with discretion and intelligence. I should emphasize that at this point there is in fact no project, just a series of initial explorations. If in due course a project takes shape, we look forward to continuing communication on a more concrete basis. For the time being, please know that we take your letter seriously and that we hope to together maintain a substantial conversation about the issues your letter justly raises. 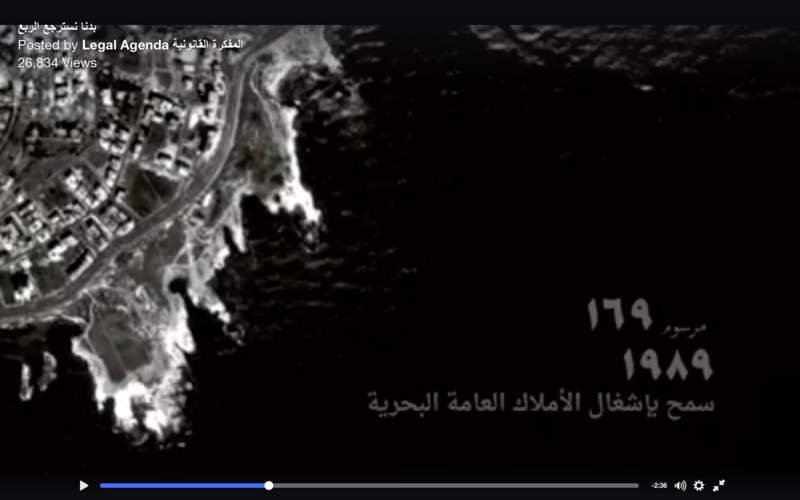 The suit, which was launched last week, focuses particularly on Decree 169 of 1989 which removed state protection from the last undeveloped shore in Ras Beirut surrounding the landmark Raouche “pigeon rocks” and includes Beirut’s only free beach, Ramlet el Baida. The area is known as “zone 10” and runs the length of the Roauche coastline from the Summerland resort, passed the pigeon rocks and up to the Sporting resort. Investors exploitation in “Zone 10” is further boosted by a controversial set of laws passed in the late 1960s and 1980s that give developers special privileges to take publicly held land adjacent to their projects at no cost. According to decrees passed in 1966 and 1982 investors who own at least 20,000 square meters of property are allowed to claim double the amount they already own in public land surrounding their projects with the aim of “supporting tourism” (though the resorts are often only accessible to elites). 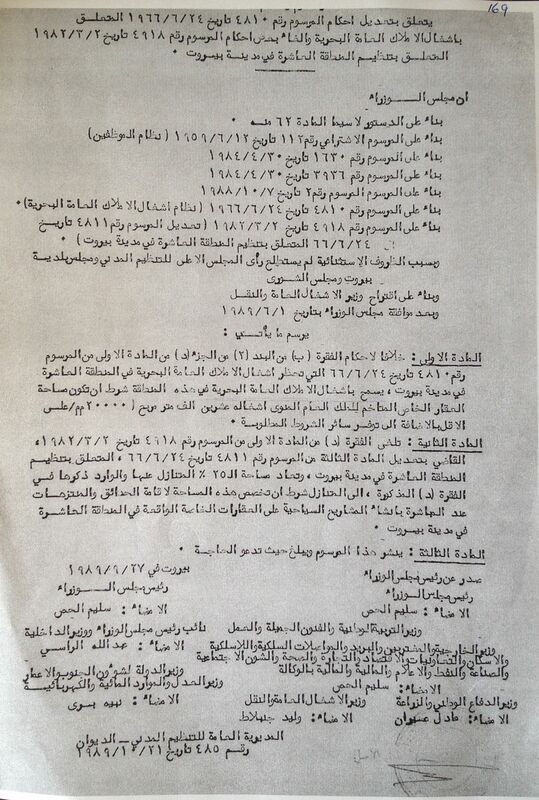 Yet “Zone 10” had been exempt from this development up until the 1989 decree that is subject of today’s lawsuit.